Little H’s lack of diagnosis left me feelingempty for some time. I wanted a neatlittle label to share when people asked “What’swrong with him?” It’s hard toexplain that the doctors just don’t know and that they have tried every testimaginable already. People have beenshocked or angered on our behalf – “Howcan they NOT know what’s wrong with him?” And I don’t know the answer to that either. Not having a diagnosis makes for a lot ofawkward conversations and difficult form-filling. Ringing up to access services, meetings withhead-teachers at special schools, discussions with other parents in waitingrooms: “What’s his diagnosis?” “He doesn’t have one”. DLA forms, application forms for funding allhave a question marked diagnosis:with a space of 2-3 lines to fill in. It’svery difficult to fit H’s long list of symptoms into those little boxes. So instead of a handy little ‘catch-all’ wordor neat little phrase to explain his myriad of symptoms and difficulties, I endup reeling off a long list of things he has ‘wrong’, things he ‘can’t do’ andthings that mark him as ‘different’ from the typical child. It feels like I am betraying him, to sit inhis presence describing him as a list of things that don’t work the way theyshould. My son is MORE than a list ofsymptoms. And if you are wondering, here are just someof the symptoms, terms and phrases used to describe Little H. Some of them head up every letter we receivefrom medical and educational professionals, others appear occasionally. It can, and does, make for pretty depressingreading at times. The last three on that list still hit me likea punch to the stomach when I read them. The ‘resolution’ I referred to in the titleof the post isn’t about a sudden diagnosis that has been found for my littleboy, but more how I have come to accept, embrace even, that lack ofdiagnosis. I’m not saying that therearen’t times when I still yearn to know the cause. There are of course times when I return to googleand start typing in combinations of symptoms. H is due a genetics appointment this summer and I know that the lead upto that appointment will be filled with nervous trepidation and anxious nailbiting. But for the most part we carryon our day to day without worrying about the ‘whys’ and just dealing with the ‘rightnow’. And how did I reach this state of serenelike calm, stress free acceptance, happy medium where I can accepthis lack of diagnosis and not let a yearning for a label/a cure control mythoughts? Well it came in stages;firstly I realised that his treatment wouldn’t change – he has access to anumber of great therapists, doctors and consultants that help and support himin the best way they can. Even with adiagnosis, they would be unlikely to do anything differently. I realised that even with a diagnosis, it waslikely to be obscure and I’d still have very little to compare him to and evenif there were a number of children with the same genetic alteration, such thingsare often on a spectrum and what one child can or can’t do doesn’t necessarilyring true for another. There will alwaysbe children that don’t fit the mould. Ifound great support from SWAN UK and made wonderful friends, I doubt anothersupport group for a named condition would compare to the love and friendship Ihave received from SWAN UK. The turning point came though during adiscussion with Little H’s paediatrician. She wanted to discuss his prognosis, basically how long they expectedhim to live for. For a number ofreasons, which I won’t go into here, Little H is unlikely to live to reachadulthood. His paediatrician tried todiscuss how much longer we could expect him to be with us for and she comparedhim to similar groups of children: children with cerebral palsy, children whohave recurrent chest infections, children with epilepsy, children whose epilepsypresents like H’s. “Ultimately”, shesaid, “I can’t give you a definite age like 5 or 7 or 11, with H being sounique, we just don’t know”. Mr. M hadalready started bundling H into his pushchair as the conversation started, asshe focused on specific ages he was half way out the door. We didn’t want to know. We didn’t want to hear. And with this lack of diagnosis, I feel, wehave been given a gift. A gift of not knowing what the future holds forour son. He may never walk, he may nevertalk, he may never sit, he may never stand. But he might! And although we havethe fear that he might not reach adulthood, we have no idea how long he’ll bewith us. We have been given the gift ofliving every single day as if it is his last without a big clock counting down. Instead of striving for a diagnosis, wejust deal with the day to day difficulties as they arise. We have learnt to seethe important things in life, to take pleasure in the simple things and to lovehim for who he is today, not who he may or may not become in the future. So for now anyway, Little H’s lack of diagnosis is a blessing and as the famous saying goes: We aren’t waiting for the storm to pass, we are learning to dance in the rain. This just became my favorite post. Yes, of course, treatment won't necessarily change with a diagnosis and super yes to the not knowing which leaves doors wide open for accomplishment. 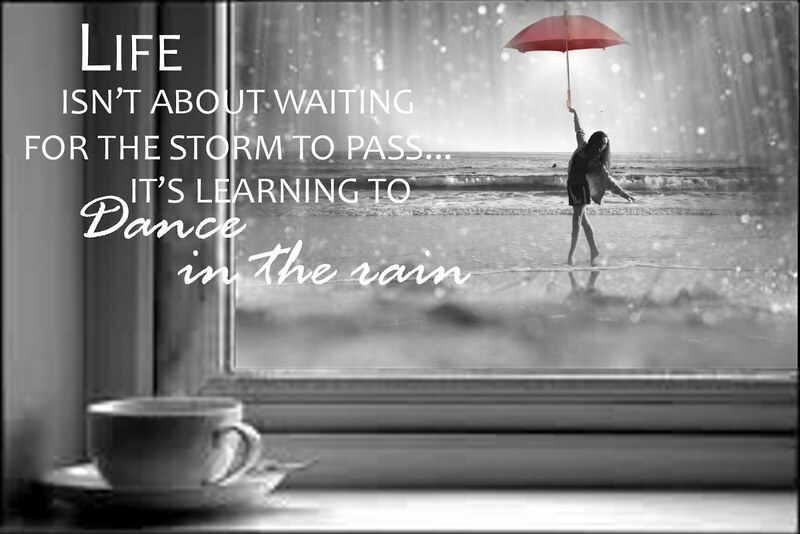 Dance in the rain, indeed. THanks for sharing this. I know EXACTLY what you are talking about. You know, about 3 years ago doctors told us they had a suspicion of a disease and that would have be an absolutely horrifying disease with lots of illness involved and lots of suffering and a very low life expectancy. It took about two months until their suspicion turned out to be wrong and these were the two worst moments of my life. I could think of nothing else but "will he get old enough to experience this or that" and my whole thinking was consumed by the disease lurking around the corner. I could not enjoy my child anymore. This is when I realised I do not want to know all that is lying ahead of us. And hugs to you too. I'm glad it didn't turn out to be that horrible diagnosis for you all. There's a kind of liberating freedom that comes from the feeling of not wanting to know any more isn't there? Yes, it is absolutely liberating! Some days I am even glad we do not have a diagnosis. This experience really shaped me.